CE5+ Atomizer with New replaceable stem and coil mechanism! CE5+ Atomizer can hold 2ml of e-liquid! The wick can be easily replaced with a simple click metal clasp. The Heating element on the CE5+ is housed in a metal sleeve which is used as a suction tube, on every pull draws juice into the housing to keep wicks nice and wet, in which creates amazing flavor and vapor! These are the new transparent clearomizers for eGo style devices. 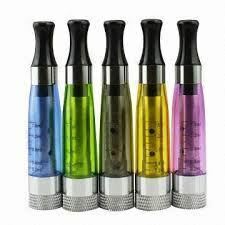 Each clearomizer comes with a drip tip that is specifically made for the eGo Transparent Clearomizer. 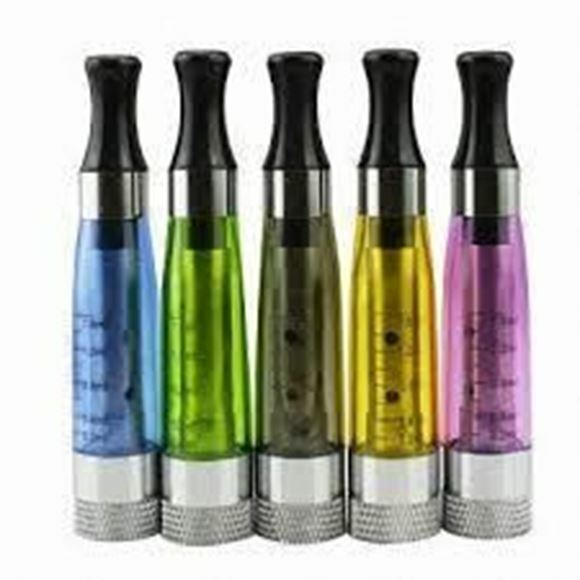 The eGo Transparent Clearomizer, Creates a very clean taste and creates a huge amount of vapor. Unlike some other plastic clearomizers these are designed to be more user friendly without worrying about them breaking. Heating element is replaceable after it burns out or dies simply screw off bottom cap and screw a new one on!! Easy for cleaning out tank... Simple and affordable! 1. No ignition, No fire hazard. Free of tar and other carcinogenic substances or harmful ingredients. 2. Humanized design, the temperature of the vapor is similar to that of the human body . 3. Fashionable and distinguished design. 4. No environmental pollution .The exhaled smoke is a vapor generated during the atomization of an alkaloid liquid ,thus no second-hand smoke. 5. Operating temperature of -5C to 42C.